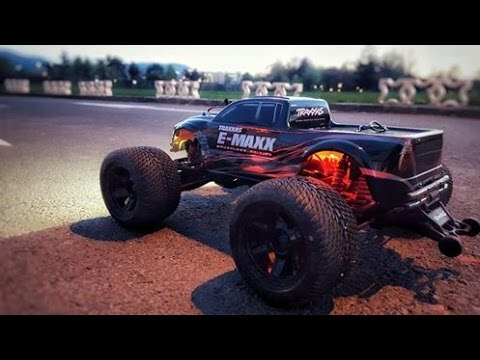 Traxxas is truly unique, providing an experience that is inspired by passion for horsepower, performance, and fun. When you own a Traxxas vehicle, you are part of the Traxxas family, and we will be there with you every step of the way. Inspired by cutting edge innovation and technology, our dedicated Engineering team pushes the envelope making high-performance R/C more exciting than ever. Our goal is to ensure you have fun today and for many years to come!Ready-To-RaceTransmitter, battery, charger, and painted and decaled body are all included.More Speed7-cell, 8.4 volt battery pack delivers more speed and acceleration.Longer Run TimesTraxxas Nickel-Metal Hydride (NiMH) batteries have twice the capacity of standard batteries.Faster ChargingThe 4-amp fast charger charges the battery in about 45 minutes or less.Waterproof ElectronicsPatented sealed electronics for all-weather driving fun.